I first posted this almost exactly two years ago, Sept. 15, 2015. I am heartbroken that what we saw in the early days of Donald Trump’s campaign for the White House has come to deadly fruition only eight months into his presidency. I never want to feel compelled to post this again. 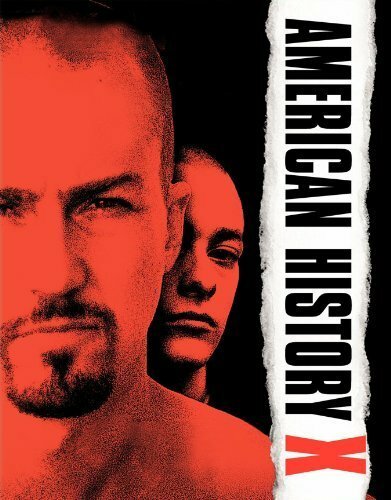 I watched American History X with my son this evening. He was born 17 years ago, the same year the movie came out, 1998. And I’m saddened by how little we have changed as a society. I’m saddened that the vile speech that Ed Norton’s skinhead character Derek Vineyard delivers to his disaffected disciples (watch the clip below) could have been made by any number of Donald Trump’s white nationalist supporters. I’m saddened that you could exchange the film’s references to Rodney King for Michael Brown and the movie literally could have been made yesterday. I’m saddened that we are still bringing up our children in a society so paralyzed by fear of change, fear of the other, that we dehumanize and demonize those we should embrace as brothers and sisters. I’m saddened that I have friends whom I love who cannot see their own prejudice for what it is. I am saddened that I struggle to keep my own prejudices in check. I want to believe that we can be better than this, that I can be better than this. I hope and pray that my kids, and yours, will tomorrow be better than we are today. Because we cannot go on like this. We just can’t.